The maximum scan angle amplitude of resonating micro-mirrors, intended for micro-projection display applications is limited by air damping. Three-dimensional transient Navier–Stokes (N–S) simulations are performed to analyse the fluid flow interactions with a high frequency scanning micro-mirror driven by angular vertical comb (AVC) actuators. The time-dependent damping moment contributions due to viscous shear and pressure drag are subsequently computed for both the mirror plate and comb-drive structures. A computational-efficient N–S model of the AVC structure, based on the sliding mesh technique available in ANSYS Fluent, is proposed. The effect of scan angle amplitude on the damping moment and the flow regime surrounding the oscillating micro-mirror plate is analysed in detail. It is shown that the simplified damping models applicable to resonant MEMS devices are not valid within the operating range of high performance micro-scanners. From dynamic mesh N–S simulations, the effect of the underlying mirror cavity wall on pressure drag damping is also evaluated. Good qualitative agreement in the overall quality factor is achieved between simulation and measurement results. 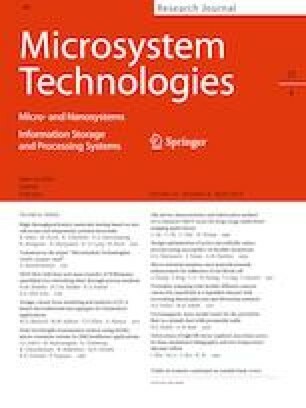 The authors would like to thank ST Microelectronics (Agrate Brianza, Italy) for the provision and preparation of the sample micro-mirrors characterised as part of this research. This work was supported by the project Lab4MEMS II. Lab4MEMS II project has been launched by the European Nanoelectronics Initiative Advisory Council (ENIAC) Joint Undertaking (JU), a public–private partnership in nanoelectronics-Project ID: 621176-2 (ENIAC Call 2013-2).